So, you want to turn your “dumb” house into a smarter one. You’re not alone. Analysts expect the smart home devices industry to reach $107.4 billion by 2023. But the question is, where do you begin? The number of gadgets available to buy and the different brands can overwhelm smart-home beginners who are ready to enjoy better-equipped abodes. This straightforward list features six must-have devices to get you started. Soon, you’ll be asking your voice assistant to set an alarm for you just like a smart home pro! The first thing you’ll want to get is a voice assistant to help you control your smart devices with just your voice. The Amazon Echo is a smart speaker that features Alexa, Amazon’s virtual assistant. One of the reasons this gadget should be on your smart home shopping list is that it could work with many of the other products you buy. Alexa responds to short commands that make life easier and more fun. You can set alarms, perform Google searches, and even order pizza — just by using your voice. Plus, compatible gadgets let you depend on Alexa to tweak aspects of your smart home by doing things like turning down the thermostat or turning on a light. The Amazon Echo and its Alexa assistant are both excellent introductions to the potential of smart home devices, but you might want to try other smart speakers in the Echo family instead. If you’d prefer one that has a screen and lets you make video calls or see song lyrics, get the Echo Show or Echo Spot. On the other hand, maybe you’d rather go with a smart speaker not associated with Amazon, but love the easy-to-move design of the Echo Dot. In that case, look no further than the streamlined Google Home Mini. Similar in size and shape to the Echo Dot, the Google Home Mini has the Google Assistant built into it. The gadget can add obligations to your schedule and remind you of them, create a shopping list, answer questions and much more. 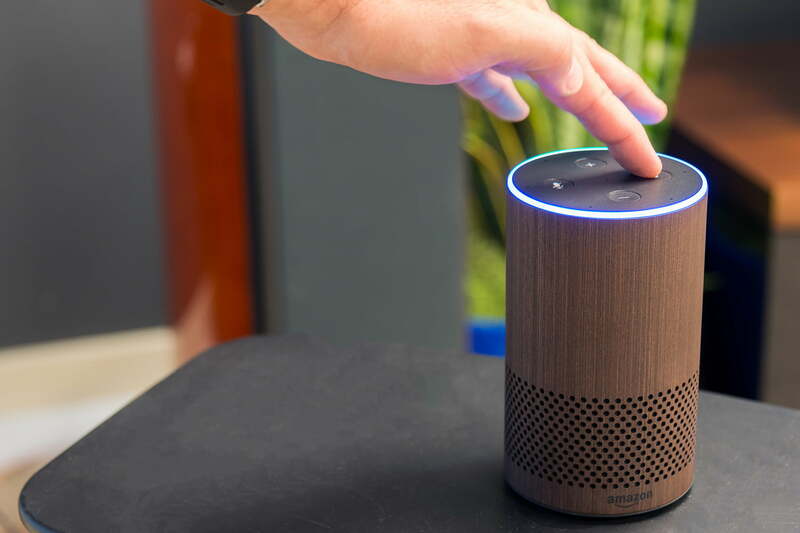 Plus, it connects to oodles of smart home devices for voice control. When your home has a smart lock, there’s no need to worry about fumbling for your keys when it’s dark or having to leave a key under the mat for a pet sitter. Today’s options install in minutes and give you convenience combined with peace of mind. 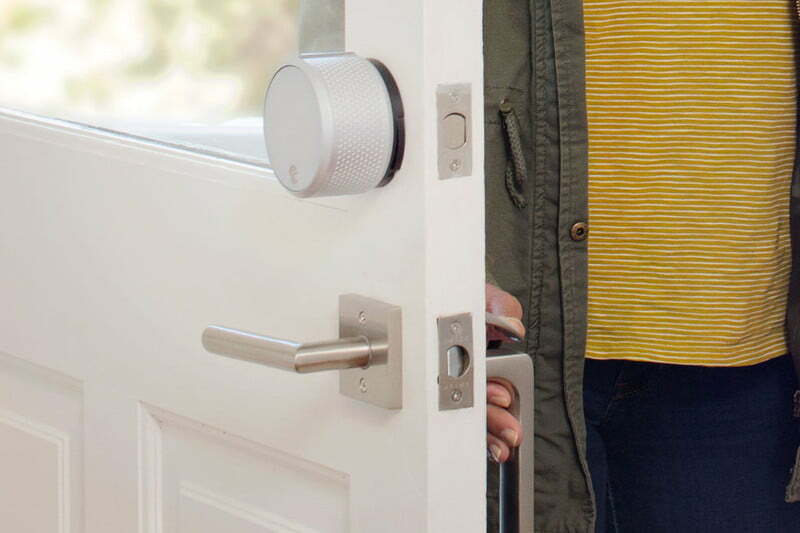 The August Smart Lock has technology that senses whether you’re at home or how far away you are to determine whether to keep the door closed or start opening it. For example, when you leave your neighborhood or are more than 200 meters away from your house, it ensures the door is locked. However, when you come back, the August Smart Lock lets you in. Alternatively, there’s the Nest x Yale lock. The keyless touchscreen deadbolt allows users to lock and unlock a door from just about anywhere, and create pass codes to manage access for family members, friends, and guests. Investing in a smart home camera lets you see who’s knocking at the door without getting up from the couch. Most models allow watching the happenings around your house from anywhere, all through an app on your phone. Many provide two-way audio and motion alerts. Nest is one of the leading brands in the smart home market and offers cameras for both indoor and outdoor use. 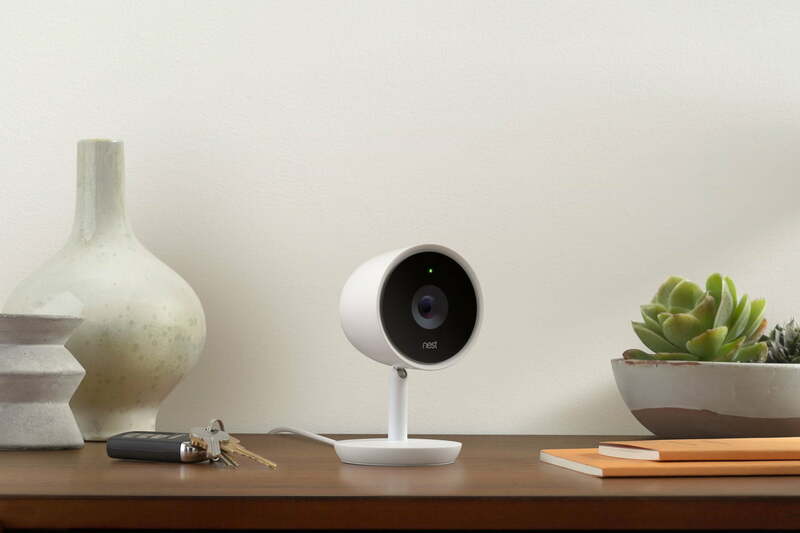 The Nest Cam Indoor, for example, comes with a magnetic stand and has a speaker so that you can talk to a person or pet even if you’re not nearby. The Netgear Arlo Pro 2, while expensive, gives you a three-second look-back feature that shows what triggered an event. Because the model has a rechargeable battery, replacement power sources aren’t an extra expense. Video quality is excellent with this camera. Your heating and cooling system is probably a part of your home you don’t think about too often — until the temperature’s not quite right. A smart home thermostatcould make the climate controls even more integrated into your life. Consider the Nest Learning Thermostat. After you use it for a week, it picks up on your habits and seasonal specifics, so you don’t have to program it. When the house is empty, the device switches to an Eco mode to save energy. Otherwise, think about getting an intelligent thermostat like the Ecobee4. Together with its room sensors and Follow Me feature, it detects where people are in the house and adapts accordingly for maximum comfort. ou may already use energy-efficient light bulbs in your home, and installing smart bulbs is the next logical step to take. Besides saving money, they let you customize the way your home looks and even turn lights on and off from another country, as long as you have internet access and the complementing app. 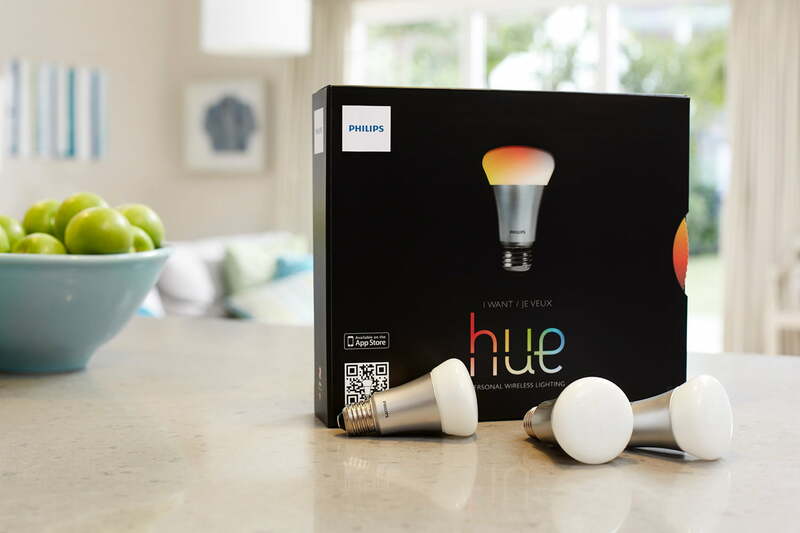 Philips Hue bulbs respond to voice commands and settings changes from your smartphone app. They work with the Apple Watch and Amazon Alexa, too. Alternatively, set up motion sensors that detect where you are and turn on lights to ensure you don’t trip over a child’s toy or a pile of clothes on your way to the bathroom in the middle of the night. Go with LIFX bulbs if you’re trying to keep costs down during your entry into the smart home market. Unlike some other brands that require starter kits with hubs and other non-bulb accessories, these versions need only a Wi-Fi connection and a compatible smartphone. If the vast array of readily available smart home gadgets on the market aren’t meeting your needs, smart plugs can almost certainly help you reach your smart home goals. Smart plugs are possibly one of the most versatile and useful smart home devices. 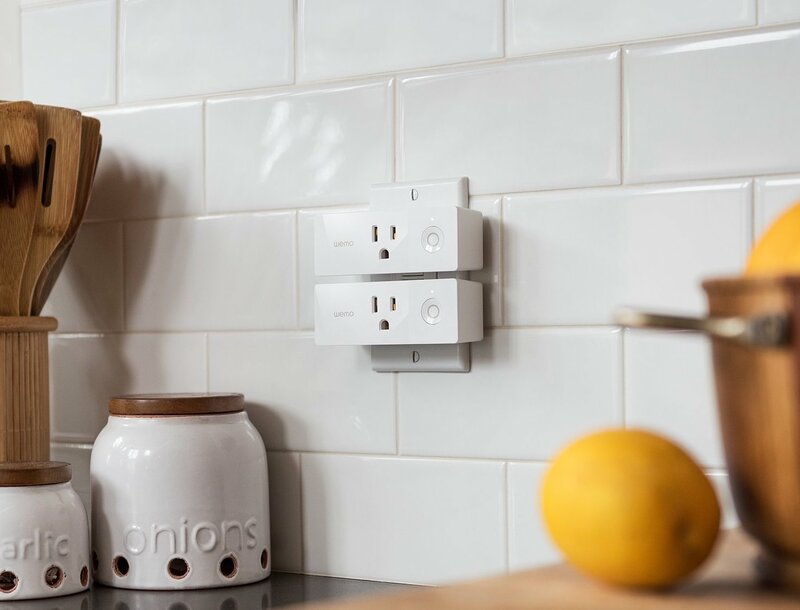 These little gadgets plug right into your electrical outlets and instantly bring the power of the IoT to any room in your house. Any electrical device or appliance you plug into a smart plug can be controlled from your mobile device: your coffee pot, lamps and lights around the house, curling irons, nearly anything you want. Belkin Wemo is a well-known smart plug brand with a good reputation. Belkin also has a Wemo Mini Smart Plug for anyone who wants their smart home tech to look a bit more discrete. Alternatively, TP-Link’s Kasa Smart Wi-Fi Plugs are available in mini, slim and regular sizes. Once you own the devices on this list, you’ll have a well-equipped smart home that helps you save money, customize your spaces, keep the residence secure, and more. If you want to expand your assortment of smart gadgets later, it’s easy to do.